Faith and I got the opportunity to check out Cavalia's Odysseo a few nights ago in Denver as part of their social media night. It made the perfect, early 12th birthday gift for my girl and was an absolutely amazing show. Not only did we enjoy premier seats to view the beautiful horses and talented performers, we were able to enjoy a delicious VIP meal beforehand and a tour of the stables and stage afterwards. It's hard to describe the beauty of the show in words, pictures barely do it justice. 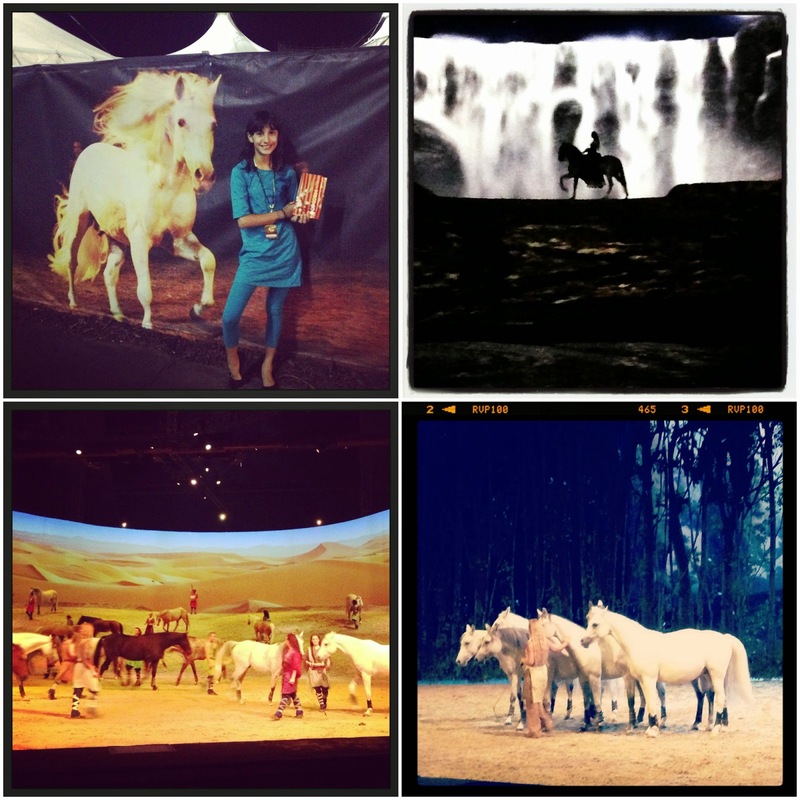 Odysseo combines music, dancing, acrobatics, along with horses to give the view a truly multi-dimensional experience. Faith and I both felt it took the viewer through a year (seasons) with the performers and the horses, depending on the music and scenery in each act. The effects, including 3 Imax screens in the back of the stage, truly make the show. The screens accent the hill, so the horses really are coming towards the audience at many points. The water finale is also incredible with the waterfall imagery and the actual water in the main stage area. Odysseo is playing in Denver until October 12, 2014. 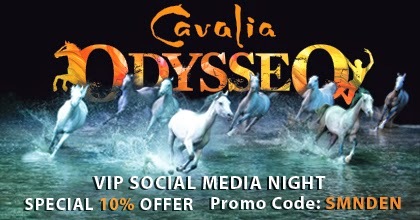 The social media team from Cavalia has offered us a discount to share with our readers. 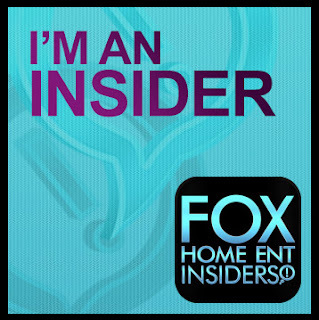 Use the code SMNDEN and you will receive 10% off your next ticket purchase online, at the box office or over the phone. 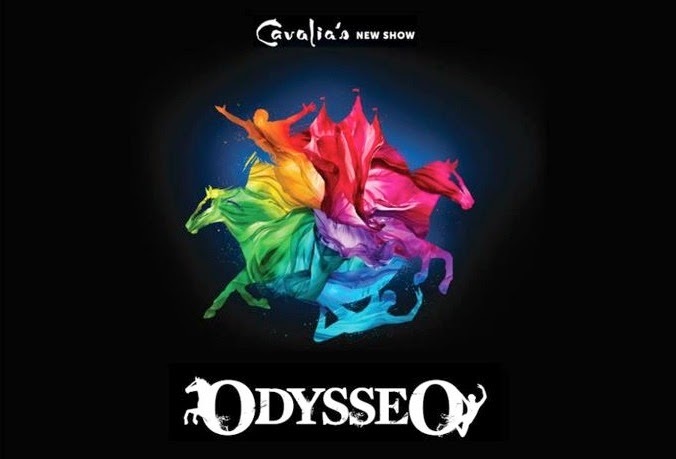 Disclosure: As noted, we received our tickets to Cavalia's Odysseo as part of their social media promotion. 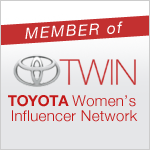 No compensation was received for this post, all opinions are my own.